The fourth chapter of Brandt’s The Rise of Writing, “When Everybody Writes,” focuses on how writers and writing work in relation to other writers. 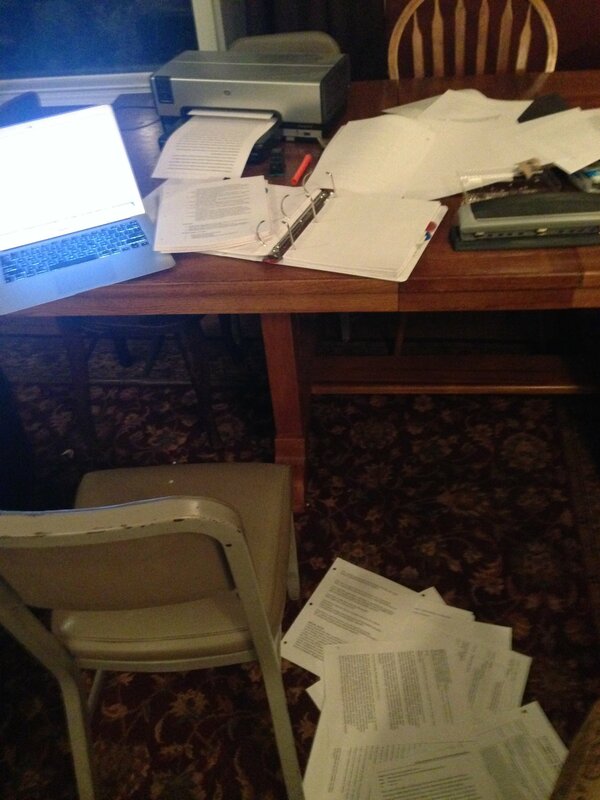 As Brandt states, “Proximity to other writing people—ample, ongoing, routine proximity—plays myriad, formative roles in the development and calibration of writing, writing skill, and writing consciousness” (158). Early in the chapter Brandt discusses the “scenic” nature of writing (137-139). She notes that due to the fact that writing is scenic, that is something that takes place and can be witnessed, people are more acutely aware of how it works in the world. Brandt explains, “Seeing and being seen, knowing and being known—these everyday events form a broad undercarriage for awareness about how writing fits socially, politically, economically, aesthetically” (139). She then connects the scenic quality of writing to how writers interact with other writers. Because writing is scenic, writers are acutely aware of the writing that exists in the world: “Proximity to other writing people invites, and often requires, close attention to their habits, working conditions, and potential attitudes” (144). She also brings in the concept of mentalities and examines how it applies to her study of literacy. Brandt acknowledges how reading has historically disseminated information and thus contributed to establishing “shared understandings” (135), among the people of any given time and place within literate societies. However, she notes that as our literacy practices become more and more writing based, rather than reading based, the way we form these mentalities may be shifting. In her concluding chapter, “Conclusion: Deep Writing,” Brandt co opts her nemesis Nicholas Carr’s phrase “deep reading” and reworks it to form her own concept of “deep writing” (159). 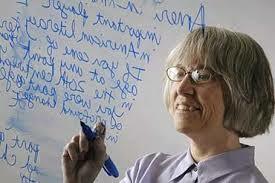 She contends that the evidence provided her book suggests that we are “entering an era of deep writing” (Brandt 160). 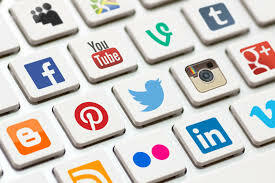 She argues that our literacy practices are no longer typified by prolonged and intense reading of texts but instead that “more and more people write for prolonged periods of time from inside deeply interactive networks and in immersive cognitive states” (Brandt 160). 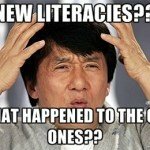 She ends her conclusion by examining the how these changes in our literacy practices present exception challenges for education as our schools are “growing increasingly out of step with the wider world” (Brandt 165). During our discussion in class, Dr. Jaxon asked the students if we thought of each other and our professors as writers, and whether or not we really ever collaborate on writing or just give each other feedback. To me it seemed that the general consensus wound up being that we had not really seen at each other as writers until graduate school. This sentiment extended to our experiences with collaboration; I believe it was Kelsey King who stated, “the collaborative nature of writing is definitely something I’ve learned about through school.” I think when asked about our feelings toward collaboration in writing, many of our minds jumped to the concept of ‘group work.’ And like most sane individuals our knee jerk reaction to ‘group work’ is to say, “I hate group work.” I found it interesting that, for many of us, the concept of collaboration in writing was immediately conceived of as group assignments in school, and indeed our discussion did primarily revolve around collaborative writing within school. I couldn’t help but wonder how negative experiences with group work in school might contribute to the persistent stereotype of the solitary writer; even though, the form collaborative writing takes in these types of scenarios rarely reflects the level of professionalism, commitment, and responsibility that one might find when collaborating with a colleague in a professional environment. I also find it interesting that the knee jerk, “I hate group work,” reaction has always seemed to be so pervasive. In my own experience I have been part of groups that were pure nightmares, but also groups that worked extremely well and which provided me with incredible amounts of support; yet, I still stand firmly in the “I hate group work” camp. I can’t help but think this attitude has something to do with the nature of school and grades. As students we are keenly aware that we are constantly being assessed. Despite that grades are just letters they failure to live up to a certain standard could, like writing, have significant and very real consequences in the world and their lives. The sociocultural significance and pressures of grades heavy influence the nature of group work in school. If you feel one person is not contributing enough you are angry that their lack of commitment will have an adverse effect on your grade, and, on the flip side, if someone is doing a large amount of the work you become concerned about whether you are contributing enough. In chapter 3 “Occupation: Author” in The Rise of Writing, Deborah Brandt starts off by stating “The belief that writing ability is a subsidiary of reading ability runs deep in American society and schooling. You can only write as well as you can read. The best way to learn how to write is to read, and read some more. 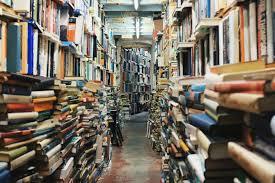 Reading is the best way to exercise the mind” (89). These were all (almost verbatim) proclamations that I heard growing up, so I think Brandt really taps into the typical old school American literacy mindset here (not surprising since she’s Deborah Frickin’ Brandt). However, as Brandt discovered with Evan, reading and writing don’t necessarily go hand-in-hand––which is not a bad thing. Evan had a well-known exotic animal website that “attracted the attention of a major publishing house for pet care books” (92) and published a book. As a result, Evan identified professionally as an author and has gone on to write magazine articles, etc. While Brandt was interviewing him about his literacy development and the role reading had, Evan confessed that he did not like to read, stating, “I’d rather be writing than reading” (92). This is not uncommon, in my opinion, since I can relate and know many authors who feel the same. Brandt was intrigued by Evan’s declaration and his literacy development being connected to broader industries of writing rather than reading (93), so she set off to do some research. 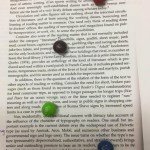 I won’t go into the details of Brandt’s literacy development research study, because there’s a lot of it in this chapter, but the main takeaway from Brandt’s arguments is that she advocates a “full return to the heritage of mass writing as a basis for advancing a genuinely writing-based literacy” (133). Brandt’s idea of this heritage is not based on the American idea that writing is dependent on reading––essentially that literacy theory has become obsolete. Brandt’s arguments are based on the “evidence drawn from the testimonies of thirty young adults who pursue literacy predominantly through writing; individuals who elect to write on a nearly daily basis and in genres long considered bulwarks (defensive walls) of a thoughtful reading literacy; individuals who have found ways to orient to writing even when the environment around them tries to orient them otherwise” (133). 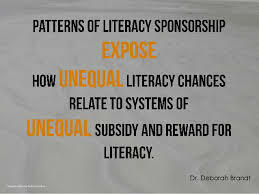 So while the notion of reading being a catalyst in writing advancement may still present be in teaching and sponsorship, writing is a significant player in literacy development by itself. It promotes a motivation for self-improvement that isn’t restricted to someone’s reading ability. Therefore writing-based literacy and reading-based literacy should not be lumped into one literacy development practice in order to be considered beneficial. *Side note: I own the Kindle version of The Rise of Writing, so my page citations might differ from those of a physical copy. Although I can respect Brandt’s research and theories, I cannot personally relate to them and thus have a differing view. Brandt says that “learning to read is an expectation and a rite of passage for children in this society. But the idea ofbeing or becoming a writer has more profound aspirational power” (98). I couldn’t disagree more in my own walk. I found (and find) reading to be the motivation behind my reading-based literacy. I love to soak up information, to experience that lightbulb moment when reading others words. When it comes to my own writing, I hit constant roadblocks. I shared with the class about a webinar I recently attended through work, and how the speakers of “Thriving in Chaos” started out discussing brain research and how our brains react. The first priority of the brain is safety. If the brain does not feel safe, it will not progress past the first priority. It will be looking for ways to get back into safety. Fears, anxieties, etc. can cause the brain to lag in this danger zone. Unfortunately, if you are living in this state of fear, then you wont make it past the first priority on to the second, which is experiencing “something interesting”. This was a big wake-up call for me in all aspects of my life, and in this case, my writing. As I had discussed in my earlier blog post, there is fear of judgement when it comes to my writing. I believe this fear has hindered my ability to effectively write. We see this in many examples through this chapter with Brandt’s research participants. Whether it be individuals not posting on social media for fear of the implications, or a daughter who does not want her family to find her diary: the consequences of writing can absolutely cause hindrance. On the flip side, I thoroughly enjoy my reading-based literacy, not only because I don’t feel hindered, but also because the words I read and apply from others have significantly changed the courses and actions of my life. Towards the end of the chapter, Brandt states that “what matters in writing is its rhetorical value, its projective and transactional value, its effect on others. Even in writing, then, reading is what counts” (128). Ultimately, as we have seen quite often as a foundational piece in literacy, it comes back to the human connection. Literacy is built and truly sustained through social means (even if not explicitly social). As readers and writers, we are communicating. We both have something to gain from this interaction. -If our culture really values reading more than writing, why is it that we pay writers and call that an occupation? 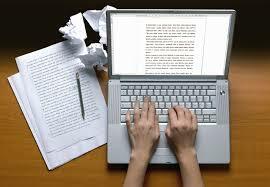 -Do boundaries in writing, or being told to write, take anything away from creative writers? -Is there really a difference between writing masters and writing sponsors? In Brandt’s chapter two, “Writing for the State,” there is a clear connection made to chapter one’s idea of a ghostwriter’s inability to relinquish the emotional costs that are not deferred, or distributed with the transfer of work produced. One of the observations made in chapter two is that of an individual’s inability to write themselves out of work produced (86). This idea worked into our classroom discussion of whether to write ourselves into a paper or just get the job done for the grade, especially when there is no interest in the subject matter. It seemed like for most the public workers interviewed, they did not mind the writing in their field of expertise, so there was no lack of interest, but they felt it was too difficult to remove their voice. The contradiction of having a human write for the “state” or “government” but as a nonhuman element made it difficult for the workers to not use any of their own self. 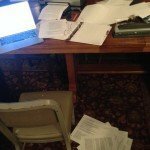 But the government knows how messy this can be: “Most intriguing is how government, including the courts, readily recognizes the intimate intermingling of the writer subjectivity with institutional mission as the dangerous mix that potentially undermines the government’s voice when employees speak out in the public domain and the political arena” (87). This intermix of human writing for a nonhuman entity will always have some form of human interference, but the government’s concern is to play a role to limit it. We talked about how writing and teaching at the CSU level is constricting and limiting to both teachers and students. A student’s voice is rarely heard in a place where they feel that they are trying to appease the teacher. Likewise, professor’s feel the constraints of the administration. It raised the important question, do we have any reading without constraints? It seems like there is always some sort of filtering. We are almost always reading it for a reason other than our own. But constraints are sometimes good when thought of for something like creative writing. This is because it forces a form on the writer, or a lens to help write in. 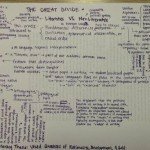 Where the opposite effect would seem to be limiting a creative writer, certain constraints actually apply parameters that allow the writer narrow their focus to just writing, instead of form or subject. Too much freedom can often result in a lack of focus. Chapter two also gave examples of how even the most scientific and self-removed writing can still be misinterpreted and skewed to fit the reader’s intentions, ultimately to influence an audience for someone else’s own agenda. This was the case with the writings of the scientist Melinda Lucas, who was a part of a complex thirty year “unbiased” study. She describes the complexities of her study and how everything she reports and deals with is just data. But when it is “rerepresented” (68) by media or other special interest groups, its interpretation is skewed by someone else’s agenda. In her case, a group wanted to use the data to save jobs, but we can see that even the most removed writing from the human bias can still be used and manipulated for others agendas and unprofessional interpretation. The chapter finished with the idea that “There is no Occupational Safety and Health Administration for literacy” (87) to with help an individual writer who is writing for government in some form. Instead individuals like the police officer Henry Pine turned his writing into a means of releasing the emotional baggage by using his writing and record keeping as a way to transform daily experiences at his job into a journal to help export some of the psychological strain from himself to the actual report itself. One of the moments that resonated with me the most when reading Deborah Brandt’s The Rise of Writing: Redefining Mass Literacy was one that was briefly addressed in the class discussion. In the section on ownership Brandt states, “In the workplace, authorship is associated not with writing a text but with managing the writer. The work-made-for-hire doctrine has been the object of considerable commentary by legal scholars” (Brandt 21). During the classroom discussion on this particular section the idea of its relation to students was brought up. The question of where students fall into this model provides for an interesting discussion. Considering students under this model is problematic for a number of reasons the first of which is it contradicts the apparent purpose of the school as an institution. While there have been multiple theorists who posit that schools, as institutions, only serve to model proper behavior in citizens, particularly compliance and the ability to follow orders (I’m thinking Althusser but am not positive I have the right theorist). However, if we take the purpose of the school to enlighten or to facilitate literacy or education for the sake of human betterment, which is the purpose argued by many to be the purpose of schools, then the for-hire model of authorship is deeply problematic. If using the latter model and schools are intended to be places of growth and actual learning, rather than of conditioning and conformity, the notion that the institution is employing a work-for-hire model of authorship goes against the purpose it claims to serve. The idea that the institution is concerned with managing the writer rather than with the writing itself suggests that while the institution might look to serve a positive function, it really is functioning in a way more akin to Althusser’s model. 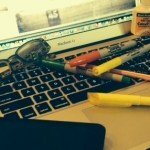 If the school is concerned with managing the writer and not with facilitating new writing, or ideas, this suggests that the purpose of the institution is to constrain creativity and to create compliant workers intended to churn out texts/works for a power bigger than them (schools, employers, etc…). While it might not be outwardly apparent that this happens in schools, I think most students would testify to the contrary. While there are always going to be constraints on the writing done within a classroom setting, it must fit the curriculum at the very least, these constraints are often taken in unnecessary or seemingly excessive ways. One of the prime examples that comes to mind is students being forced to conform to obtuse writing standards that limit both the content and form of the students’ work. This reinforces traditional literacy practices and asserts that there is only one correct way to write, which in turn reinforces behavior most desirable for traditional capitalistic model of employment in which those who toe the line are much more sought after than those who can creatively problem solve. In short what I am attempting to say is that rigid guidelines, and managing of the writer, serve a purpose if the school is intended to churn out more worker bees for hive, but run counter to purpose of the school if it is supposed to be a place of actual learning and intellectual advancement.